For 2019 the chassis has been modified in its rigidity and balance, designed to reach the maximum compatibility between turning and stability. The twin-spar aluminum chassis is immensely light and yet provides the ideal stiffness and strength characteristics required to contain and deliver more than 180kw from the RC213V’s engine to the rear tyre. As well as strength, the chassis features the right amount of carefully designed flexibility to enhance tyre grip. 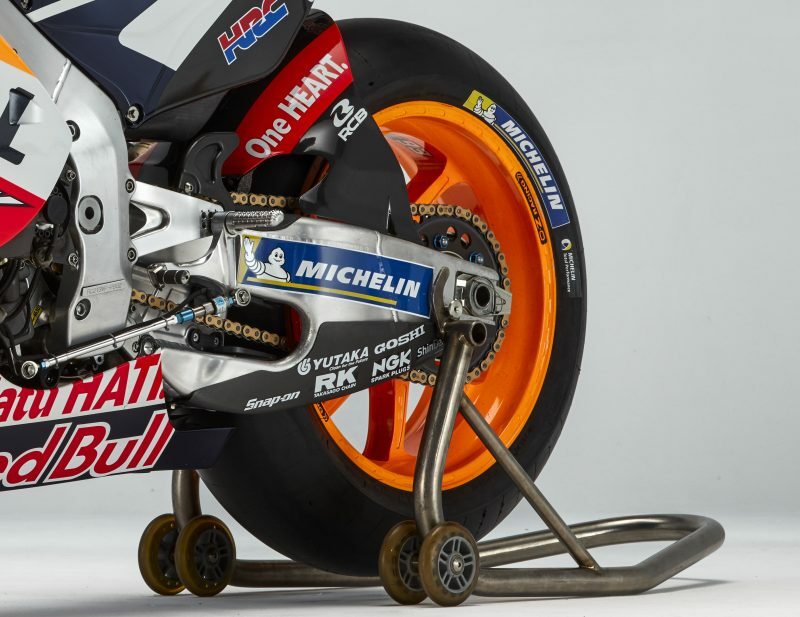 For 2019 the RC213V is fitted with Ohlins suspension front and rear. Providing the essential link between wheel and chassis, the suspension’s job is to keep the tyre in contact with the ground and producing maximum grip as the machine hits the thousands of bumps and ripples encountered on every lap. It’s a crucial link in the performance chain and for this reason both Repsol Honda riders have a dedicated Ohlins technician assigned to him. 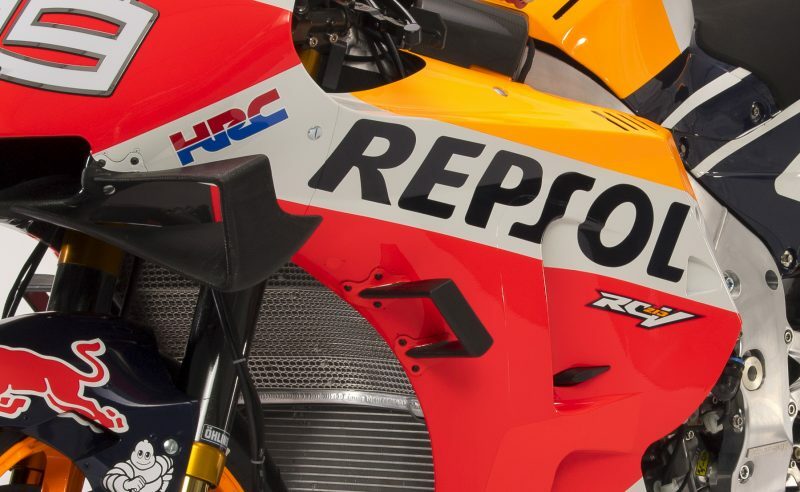 The lightweight carbon-fibre bodywork plays an important role in making the RC213V as aerodynamic as possible. 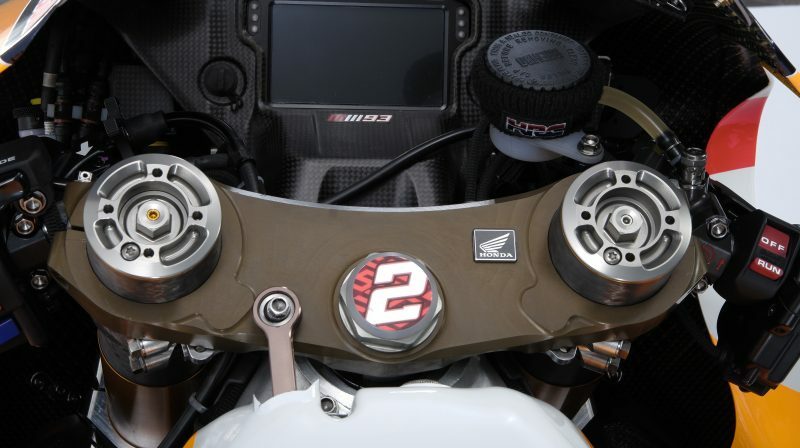 The 2019 RC213V has a modified fairing to reach the maximum performance balancing acceleration, handling and braking through the management of airflow. 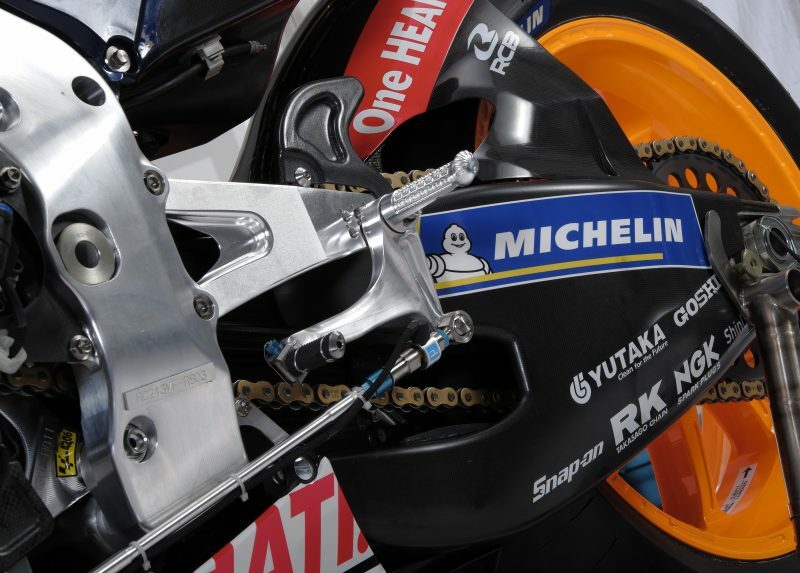 MotoGP tyres are supplied exclusively by Michelin. Each round presents a new challenge for the tyre supplier due to the track layouts and surface of the circuit. Carbon fiber front brakes are provided by Brembo. 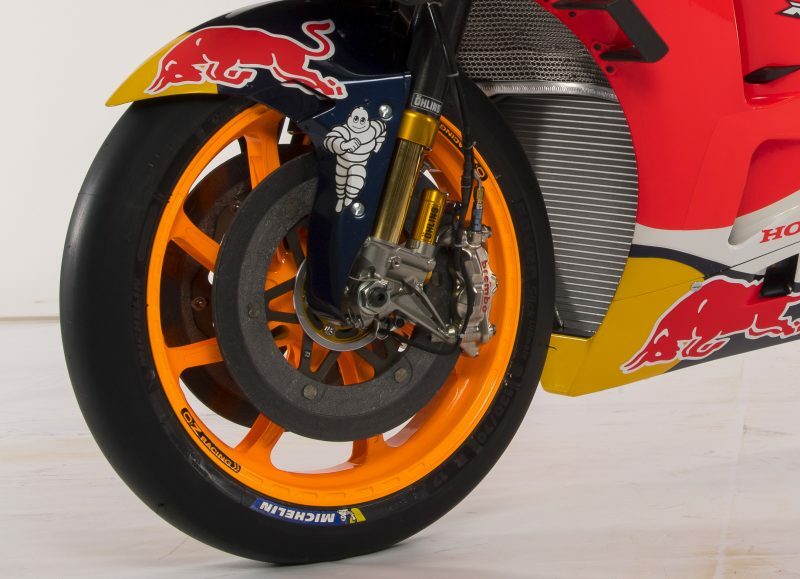 Wet conditions see some riders continue to use the carbon brakes while other opt to use steel brake disks which can operate at a lower temperature. Yutaka supply these steel brake disks for the RC213V.